The prayer emphasis of Secret Church for this April is the “peoples of Viet Nam”. If you haven’t followed there blog entries or other channels they are regularly posting some good material to help prompt prayers. Excited for this movement of God in reaching the peoples of Viet Nam for His Kingdom! 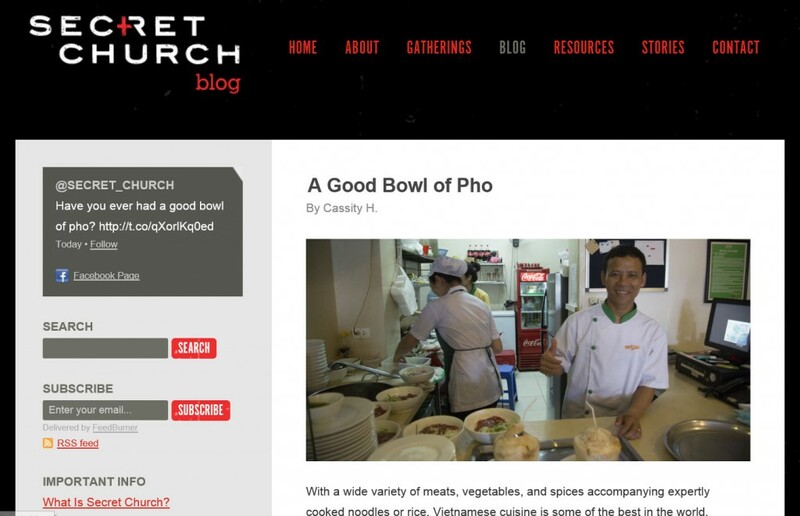 Check out this week’s blog entry there on having a good bowl of Pho.